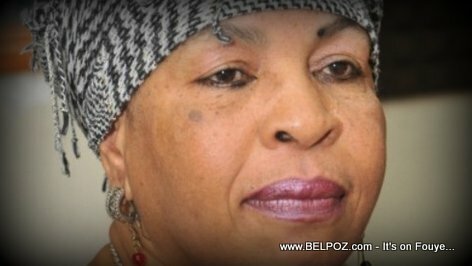 Live in her afternoon news program on Radio Kiskeya, Liliane Pierre Paul reported that Les Cayes city mayor Gabriel Fortune accused her radio station of being a propagandist radio station that was tied under the table of the Privert Interim Government. Liliane Pierre Paul did even try to deny the accusation. Instead she said there are many people who have been making these accusations since president Jocelerme Privert was in power for their own personal reasons. That these people are satellites in the constellation of TET KALE. They multiplied these types of declarations hopping they would submerge Radio Kiskeya and some people within the radio station. Unfortunately, she continued, that wasn't enough. they did not succeed in getting rid of us. These words, this song, we know it already. li bay nouvel, li fè komentè pa li, li bay nouvel sel ak piman jan li vlé selon interè politik et ekonomik li.En 1991, li tapfè retransmisyon nan palè sou JB Aristide. Se vre. Le privert te la peson Pat tande vwa Liliane paske ni li no Mari l te anba zel priveert. Nan Jounal 4è sou Radio Kiskeya, Liliane Pierre Paul rapòte ke majistra Okay la Gabriel Fortune akize estasyon radyo Kiskeya kòm yon estasyon radyo pwopagandis ki te mare anba tab Gouvènman Privert la.